Italy: Govt. Orders Towns To “Find Space” For 250,000 Invaders In 2017 – Forza Nuova U.S.A. The Italian government has ordered all Italian municipalities to find space for an expected 250,000 new invaders—most from sub-Saharan Africa—this this year, up from about 180,000 last year. More than 500,000 Third World invaders pretending to be refugees have landed in Italy since 2014, and at least 200,000 are still being house in “reception centers” across the country. Meanwhile, about half of Italians do not want the country to take in more people, pollster Renato Mannheimer told Reuters news agency. 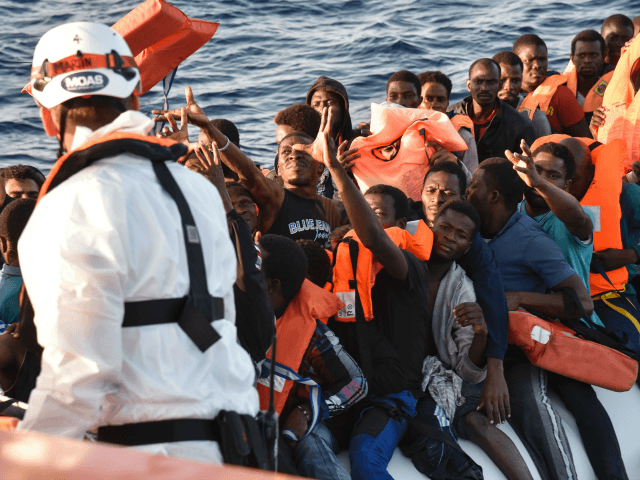 Italy is “accommodating” a rising numbers of African invaders because countries to the north have tightened their borders and some EU states have refused to take part in a plan to relocate 160,000 of the invaders from Italy and Greece. Just over 20,000 invaders have so far been relocated under the plan and the European Union has begun legal action against Poland, Hungary and the Czech Republic for refusing to accept any of them. 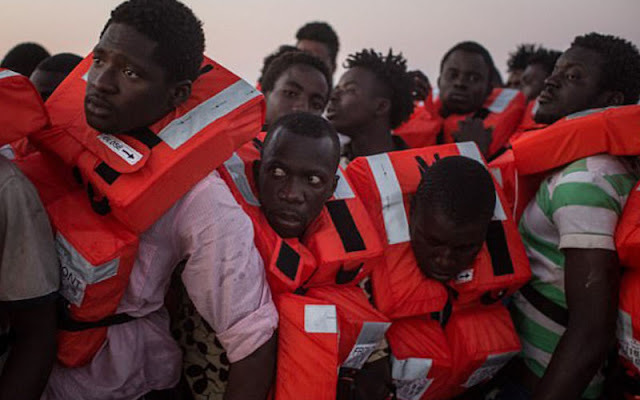 Meanwhile, there has been no let-up in the invasion, with ever-increasing numbers of Africans taking advantage of European liberals in both the state and private sectors, who will now pick them up within five or ten miles of the Libyan coast, and transport them to Italy free of charge. The number of those who are invading from Africa is up by more than 40 percent compared to the previous year, it has emerged. On the shores of Greece there are now “only” between 80 and 100 invaders arriving every day, whereas before around 2,500 were landing every day, according to EU border force “Frontex” chief Fabrice Leggeri. Among those who arrive from Africa via the central Mediterranean and Libya, most come from west Africa. They are Senegalese, Guineans, Nigerians. According to a recent report by the EU’s law enforcement agency Europol, gangs smuggling the invader-scroungers to or within Europe raked in 4.7 billion-5.7 billion euros ($5.1 billion-$6.1 billion) in 2015. The funds are sometimes moved openly through money transfer service Western Union, especially in west Africa. In east Africa, traffickers more often use ‘hawala’, an informal system of payment based on trust that is far more difficult to trace than bank transfers. Invaders from west Africa begin by taking the bus, Leggeri said. The territory of the Economic Community of West African States (ECOWAS) is somewhat similar to the visa-free Schengen zone, as individuals can travel freely within it for a modest fee of around 20 euros. Once the scrounging hordes arrive in Niamey, capital of Niger, the illegal activity begins and they must fork out up to 150 euros each to reach the north of the country and the Libyan border. Then comes the crossing which can cost up to 1,000 euros, depending on the boat. The east Africa route—which originates from the Horn of Africa and is taken by Eritreans, Somalians and Ethiopians—is more expensive. The journey is organized by national criminal gangs that work together, so a Sudanese network, for example, will hand over its clients to a Libyan network at the border. There, the fee can run to 3,000 euros, from the Horn of Africa all the way to Italy.